After 9 years of hiatus, with numerous releases of limited edition versions of the original A900, Audio-Technica Japan has finally released an upgraded model to replace the legendary A900. Introducing the new ATH-A900X, now in sleek black instead of its original blue. The new A900X is constructed with Aluminum in both outer and inner housings for an even clearer reproduction of Sound and reduce further resonance inside the Headphones for an extended and solidified bass. 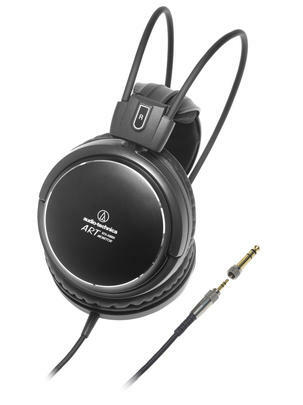 Audio-Technica's ATH-A900x closed-back dynamic headphones deliver audiophile-quality acoustic performance with superior, deep bass and vocal projection unmatched in its class. The headphones feature large-aperture 53 mm Drivers for high-fidelity playback. Equipped with A-T's innovative self-adjusting wing support mechanism, the headphones offer long hours of remarkably comfortable listening.